Weekend Roundup F | The Happy Wonderer ~ ellen b. Starts with “F.” A Favorite. Free. It’s time for Tom’s Weekend Roundup! Flamingo fanning out it’s wings with a foto bombing pigeon. Our forty year old son is a favorite. Free from sorrow. Free from pain. Our pop’s funeral. We have a free weekend that we will enjoy while watching snow fall. 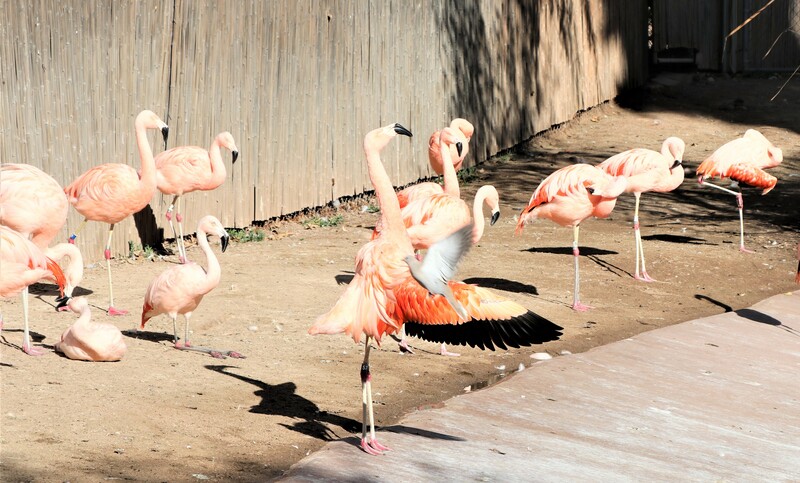 Posted on February 9, 2019 by Ellen •	This entry was posted in Meme and tagged Flamingos, Funeral, John 8:31-36, Josh Forty, Phoenix Zoo, The Weekend Roundup, The Weekend Roundup "F". Bookmark the permalink. Beautiful post. Love the flamingos! …’F’lamingos are such ‘F’un, since when is ‘F’orty old, lovely tribute. Thanks Ellen for stopping by, enjoy. Enjoy your snow watching. I remember those days, long ago. Thanks for the Bible verse, I am thinking it may have been used at your Dad’s funeral. Now you are probably the older generation but that is appropriate when you have a 40 year old son. I’m glad you posted this week. Thanks for your comment, bad as they are I still love having my feet. BTW, I just looked up, your first comment on my blog was for a Wordless Word Wednesday on October 3, 2007. Like the flamingos. So pretty. Your Valentine decorations are so pretty, Ellen. The flamingos look like warmth – reminding me of Spring, hopefully to arrive soon! Our children are favorites of us too…Happy Valentines Day! Such a great post Ellen. I am SO behind in reading and posting. Your Pop is free indeed. 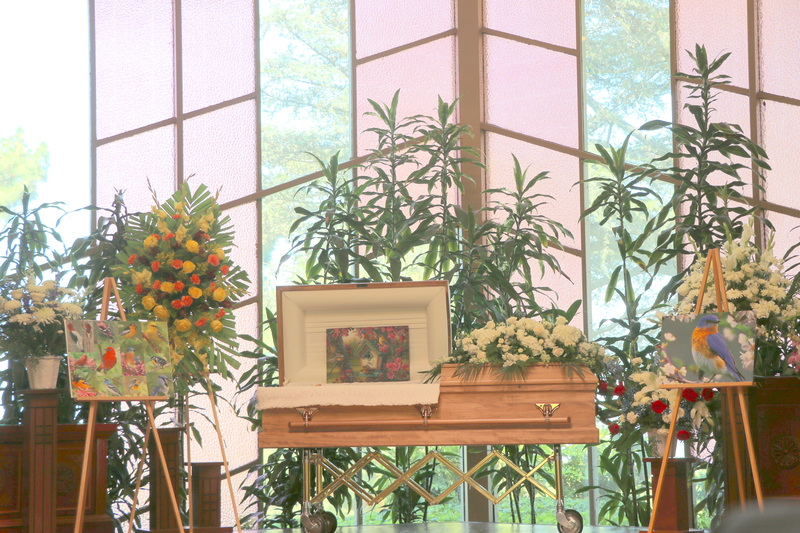 I love the Bird pictures/painting at his funeral. Did he paint them or take those pictures? 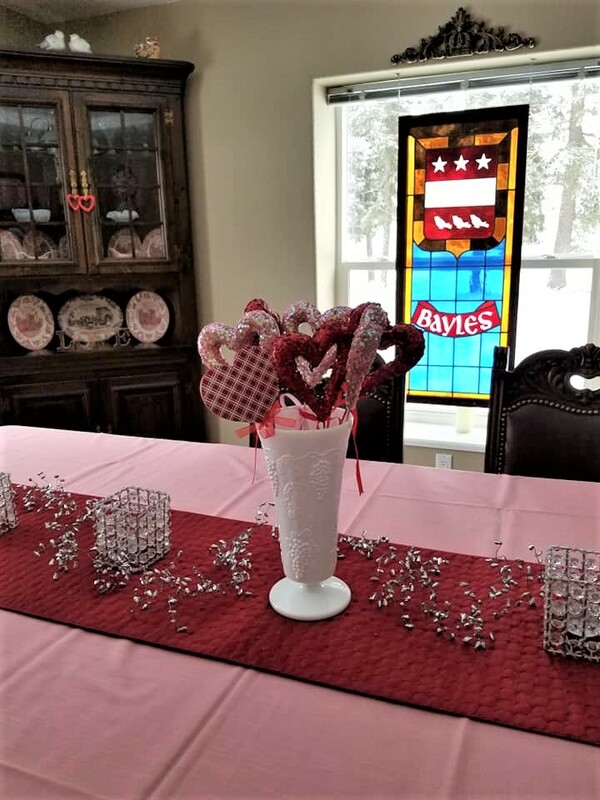 Love your Valentines decor and the way you embrace the season! Rosella, those are puzzles he put together during his last few years on earth. They were glued to backer boards after he finished each puzzle. Blessings! Wonderful “F” photos this week! I love your beautiful “Free” tribute to your Pop. Have a great Valentine’s Day, Ellen! Such a great collection! 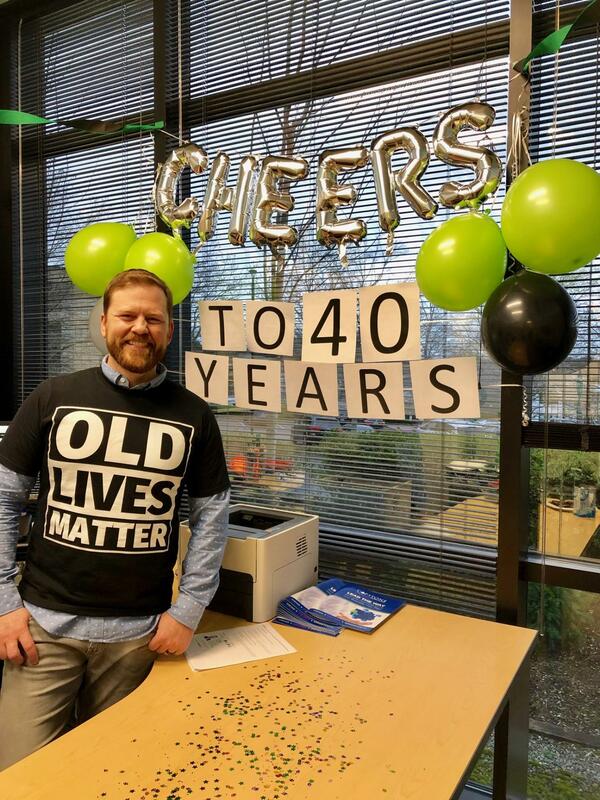 Your son’s BD tee made me smile (ruefully)…. we attended a small concert last week, billed as a nostalgic/oldies event…. and the music was stuff my kids listened to in high school. Nothing quite makes you feel as elderly as realizing that your children are now living “old lives”. (mine do have at least on yours of course).